In the spirit of world travel and exploration, the Journey Fashion Spinner Set adds a whole new dimension to your luggage. Many features make the Journey 2G a suitcase of choice. It has spinning wheels, it's expandable and unique. Take advantage of the superior packing optimization; zipper divided compartment, compression panels and multiple interior pockets. 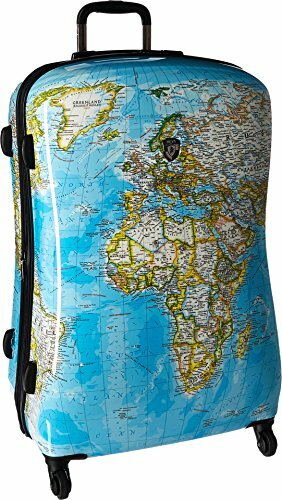 Each luggage piece in the set is designed to show different parts of the world and when put together side by sidethe entire set forms the world map. The prints are protected by a layer of glossy clear coat which gives it its brilliant shine as well as improved scratch and scuff protection.